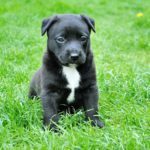 Crate training your puppy isn’t easy but these step below can really help. 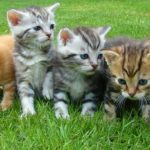 What exactly is crate training? A new puppy is like a new baby around the house who is unfamiliar with his master’s household and house rules. It is imperative to teach it the correct manners and laws of living properly in a house before you start regretting your decision of calling it your new baby. 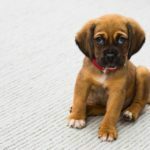 The most difficult and challenging task of managing a new puppy is the ‘housebreaking puppy process’. This involves potty training him outside the house and teaching it bladder and bowel control. This is where crate training proves to be highly effective. Dogs and puppies dislike urinating or defecating in the places where they sleep or where they spend most of the time. Restraining a puppy in a crate for several hours and then taking it outside to eliminate can inculcate potty training in it. Most people view crate training as a cruel act because it confines the puppy to a very limited area. But over time, you will discover that the crate will become your puppy’s secure and loved place if used and managed properly. 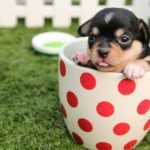 Your first step will constitute constructing an attractive and a relaxing crate which your puppy can visualize as its home or special place. Pick up an appropriate size of crate that is ideal for your puppy to stretch, sit, and sleep comfortably in. Make sure that your crate is not overly spacious or your puppy will allocate some space for toilet and some for sleeping. You can use an old towel, cushion or blanket to install it on the floor of the crate so that it makes a comfortable bed. By doing this, you are going to instill the idea of the crate being a homely place to sleep and rest and not a place to use as a bathroom. A puppy can easily be fascinated with a chewy toy or a softball. Keep your puppy’s favorite toy at the far end of the crate and encourage your pup to get its toy for you. Once it is inside the crate, encourage it, clap, and talk in happy voices. This will encourage the puppy to go inside the crate willingly and happily. It is imperative to know that shoving a puppy inside a crate or pushing it forcefully will never achieve desirable results. Your puppy will associate a crate as a secluded and confined place and will be fearful of going inside willingly. Crate training requires a lot of patience and vigilance. At first, your pup will be quite hesitant to stay in the crate for more than 3-5 minutes. Don’t scold or yell at your pup for its tentative behavior. Remember that your pup needs some time to get used to its new home and new regulations. Put some dog food inside which your puppy loves and as soon as it gets inside to eat, close the door. Keep talking to your puppy the entire time in happy jolly tones. 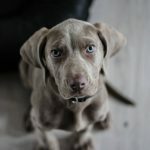 Keep dropping new and appealing treats in the crate to encourage your puppy to stay longer in the crate and to associate it with its own special place. Never leave the crate in a lonely basement or an empty room. 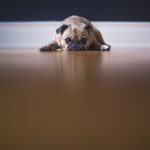 Dogs and puppies fear confinement and loneliness and your pup is going to be highly demotivated if you leave it alone for hours. Keep the crate with you all the time. Let the crate stand in the living room where there are lots of people so that your puppy can associate its crate as family furniture instead of a jail. Keep the crate in your bedroom at night. To avoid accidents, take your dog outside every hour or two hours. Once your puppy is comfortable with its crate, you can leave him there the whole day and let it out every hour to go outside for eliminating. Give it five to six minutes to eliminate and then come back inside the house and let it go back in the crate again. Remember to praise your dog excessively to show that its housebreaking habit has made you extremely happy. If possible, give small treats for its good behavior. Crate training means that your dog can sit home alone when you are out on some important errand. But you cannot do this suddenly. 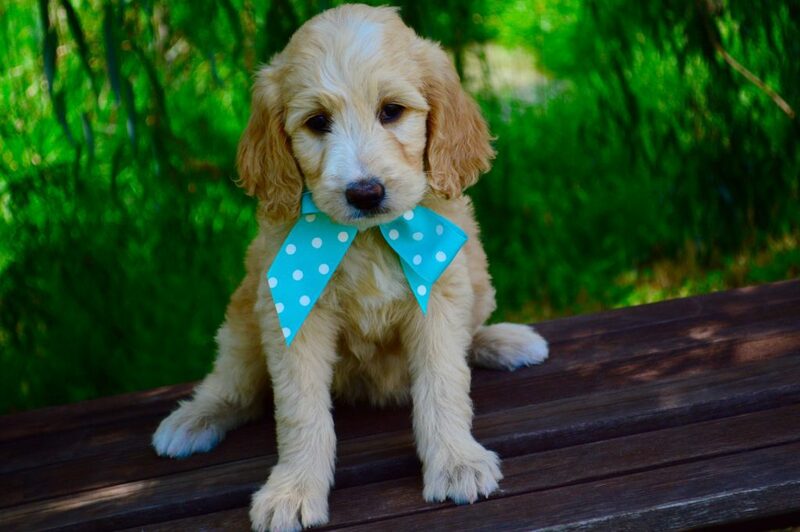 Start training your puppy to get accustomed to sitting alone sometimes. You can do this by leaving your pup for 10-15 minutes while it is eating inside the crate. Then come back in to let your pup know that you are around. Go back again after five minutes and return after 15 minutes. Keep repeating the process several times a day and elongating the time every session. Slowly train your dog to sit for an hour without you and then two hours when he gets used to it. 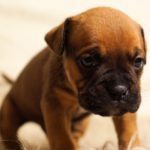 If your pup starts whining or crying, don’t let it out immediately. Wait for it to become calm and then let it out. Do not exhibit extra love for its fear or it will encourage your pup to whine and cry repeatedly to get your attention. Remember that your puppy is an animal that will need lots of practice to become the perfect house dog. Once your pup has been crate trained, you will be rewarded with the most exemplary housebreaking dog ever!